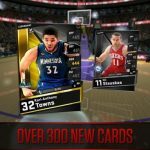 We already gave you a My NBA 2K16 strategy guide dealing with the general tips you have to follow if you want to guarantee yourself of a strong deck and a solid win-loss record or better. But at some point, you’ll need to have some rare cards or better; specifically, these would be Super Rare, Epic, or Legendary cards. Before anything else, though, we should remind you that My NBA 2K16 is 2K Sports’ official Android/iOS companion app for NBA 2K16. 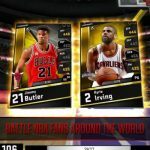 It’s actually more of an actual mobile game, as it features card battles against other real-life gamers, with real-life NBA players on those cards. It’s no cake walk getting these cards. After all, they are super-rare cards or rarer, so you shouldn’t expect this to be a walk in the park. 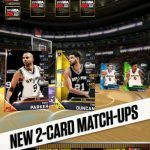 But it might not be that difficult either, as long as you check out these tips on how to get Super Rare cards or better in My NBA 2K16. If you’re on the Lineup Tier of Ultra Rare +, you’ll have more encouraging odds of getting an Ultra Rare card, as opposed to if you were on the Ultra Rare tier. And once you’re in the Legendary tier, Rare cards and above would be very commonplace. The general rule here is that a better tier means better prizes, though you should actually win some games and not just climb up the ranks. 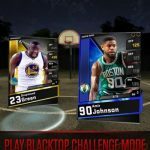 It would appear that 2K Sports has nerfed the Ladder Rewards feature a bit. Still, this feature should be a good way for players to get some rare cards, provided you’re patient and can wait for those cards. Ladder Rewards isn’t fully nerfed at this point, but the final reward will always be a player from your tier. Yes, we did warn you last time about the Auction House, which is where you can buy cards from other players, or sell the ones you got. While it normally isn’t a wise idea to buy too many cards from the Auction House, you should still pay attention to the trends; you should never pass up a buy low-sell high opportunity, especially if it’s for a rare player or better. As you win Reputation Points, or RP, you’ll be able to use those points to buy card packs, instead of paying real money for them. The Big Player Pack is a great choice if you have enough RP to buy it, though you can get a similar caliber of rewards from a standard Player Pack. Play as often as you could when the season begins, and play to win. If you’ve got a strong Line-up Tier, you’ll have better rewards for winning a season, but the rule is usually that it’s preferable to be a strong contender at a lower tier than a weakling at a higher one, due to the higher odds of winning.